Hours of timeless block play await your toddler and preschooler! This wonderful set of 50 traditionally-styled one-inch cube blocks is made from high-quality wooden materials and features charming hand-painted artwork. Solid wood blocks with a colorful collection of pictures, letters, and numbers encourage matching, stacking, sequencing, and sorting. They are a tremendous value that will last for years! A pouch is included for convenient storage. Our ABC blocks are excellent for toddlers and preschoolers to develop strong skills. 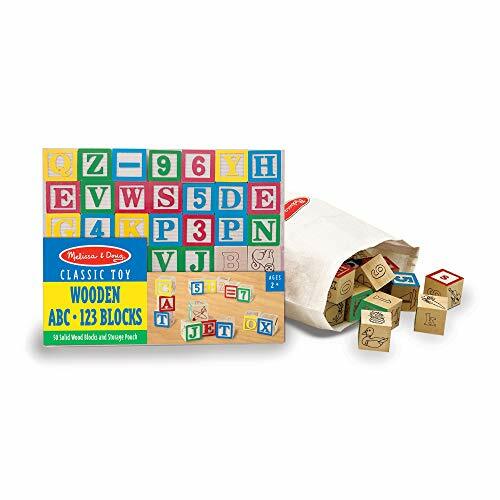 The Deluxe Wooden ABC/123 Blocks Set is a delightful gift for kids ages 2 to 4 years. 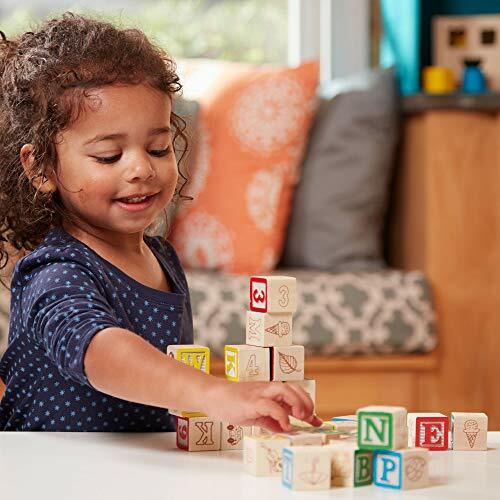 Add the Melissa & Doug 200 Wood Block Set to round out the hands-on play experience and to give kids an engaging option for screen-free fun.